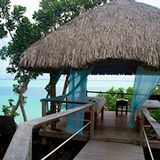 The blue lagoon provides a location for the most enjoyable Bora Bora excursions and activities. 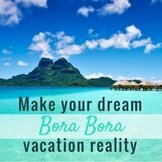 White sand Bora Bora beaches and their magical waters attract people to this island paradise for a Bora Bora vacation and make this the perfect place to do nothing. But when you feel rested, get off that sun lounge! 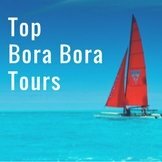 There are many fun things to do in the Bora Bora lagoon and a variety of interesting Bora Bora tours offer you the chance to explore. Bora Bora Island's lagoon is ringed by a necklace of sandy motus (islands) and sprinkled with other tiny ones. 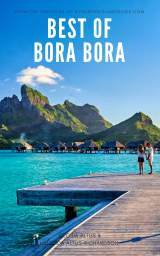 Find out about the many fantastic Bora Bora boat excursions and do as many as you can. The circle island tours, which include a shark and ray feeding, are a wonderful opportunity to meet the larger marine life and get to some of the best snorkeling spots. 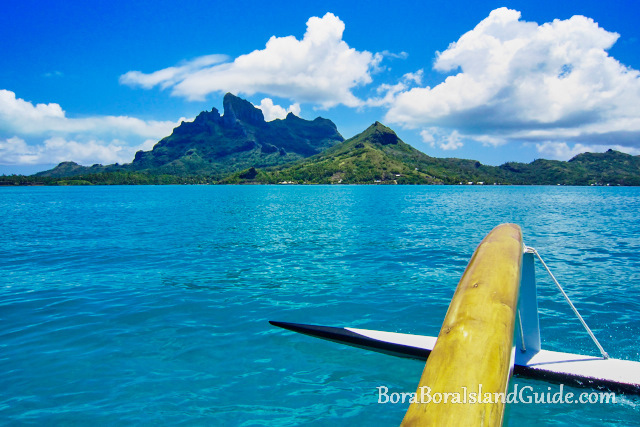 Boat tours are also the only way to see some of the magnificent Bora Bora beaches. 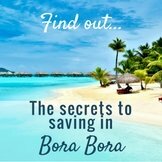 Bora Bora snorkeling is the most popular of all Bora Bora activities. There are hundreds of species of colorful neon striped and spotted fish in the warm, calm lagoon. 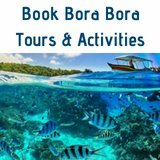 To experience some of the best snorkeling in Bora Bora, the Bora Bora lagoon tours listed on our Bora Bora boat excursions page will take you to beautiful coral gardens where the largest variety of fish can be seen. Make sure you buy your own goggles, snorkel and flippers before leaving home. 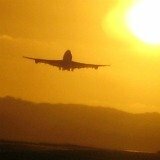 Although many hotels lend them free, they may leak or not fit comfortably. Sailing is one of the most exclusive and pleasurable way to enjoy a few hours around this island. Sailing the lagoon is so smooth and quiet, that it feels like flying over the water. 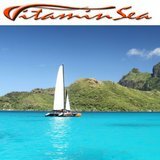 Vitamin Sea offers 2 awesome sailing excursions, with only 4 couples on a spacious catamaran. One gives a morning or afternoon sailing with a floating bar experience; and the other is a very romantic sunset sail. 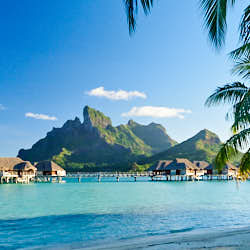 The warm, welcoming waters around Bora Bora island offer world class diving. 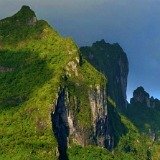 To find out more about diving in the most beautiful lagoon in the world, including diving conditions, dive operators and the abundant marine life you will see, visit Bora Bora diving. 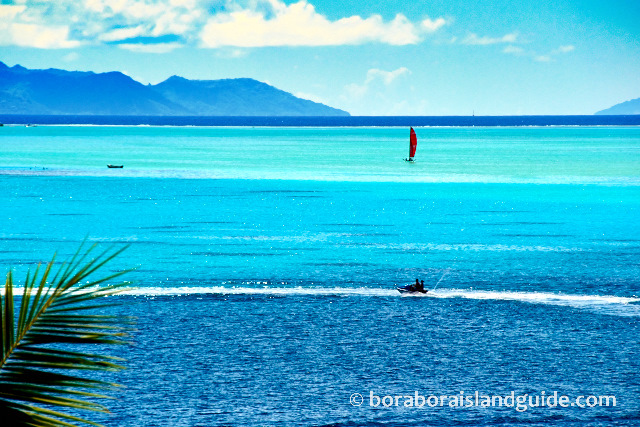 There are established Bora Bora diving sites in the lagoon, the lagoon pass and the outer reef oceanic drop off. 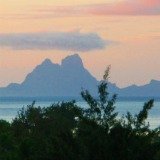 There are also two day-trip dive sites that are considered the best Bora Bora diving. 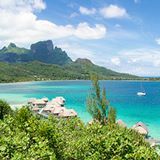 The lagoon offers a secure environment for beginners, and there are superb Bora Bora excursions to more technical dive sites for advanced divers. A wave runner is more suitable than a jet ski for exploring the lagoons in French Polynesia. So tour companies use wave runners but usually call them jet skis. Wave runners are very fast, stable on the water, and allow you to turn on an edge. 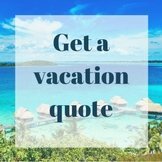 Find out the different jet ski tours available in Bora Bora. This is an opportunity to experience an exhilarating 10 minute flight soaring above the lagoon. From up in the air you have an amazing view across 'the most beautiful lagoon in the world' to the white surf lapping against the reef and the royal blue ocean beyond. You can control the height to which you fly and two people can 'sail' together, side by side. To do this you clip on a harness and step onto the deck of the towboat. As the boat heads into the wind and there is sufficient speed, the parachute cups over and you step off the deck and start to fly up to 600 feet (nearly 200 meters) above the water. This water sport combines the skills of board riding with mastering the wind. 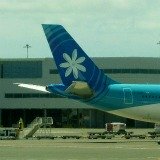 The rider is on a board (similar to a surfboard) wearing straps that are pulled by a powerful kite. The French refer to it as fly surfing and others call it kite surfing. The winds are excellent and there are good places to launch from the lagoon shore. Some of the locals enjoy kite boarding and can regularly be seen off Matira beach. You need to bring your own equipment to participate. 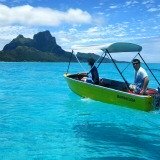 This underwater Bora Bora excursion is on a 2 seater submersible 'scooter' that has a secure glass bubble for the riders' heads. A constant air flow allows normal breathing and you can talk to each other to share the amazing sights. For 45 minutes you pilot your own vehicle along a route in water up to 3 meters (10 feet) deep. The driver must be 16+ years. 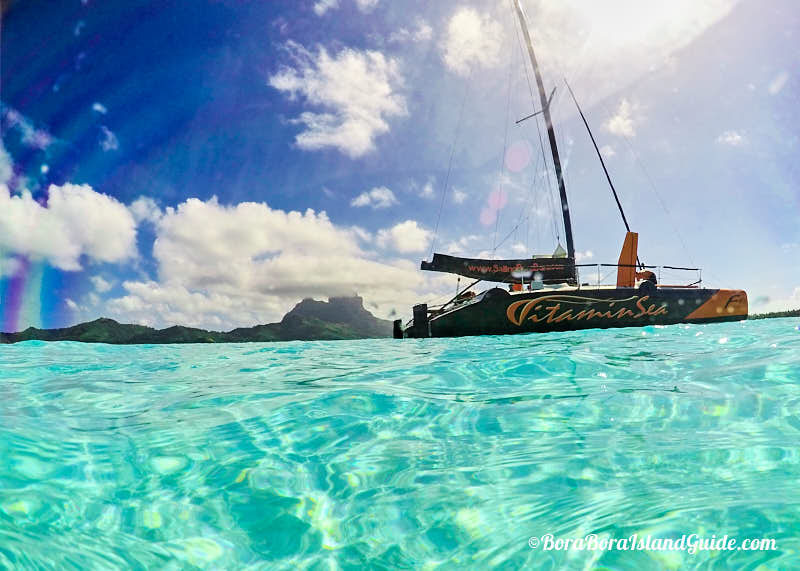 Everybody can enjoy the calm, clear, warm water in the Bora Bora lagoon. The white sandy beaches slope gently and it is shallow for quite a distance into the water. Everything in the water is friendly! There may be occasional small pieces of coral lying on the lagoon bed, so it's useful to bring reef shoes to protect your feet when you're swimming without flippers. A boat is great for getting you out quickly to some deeper water and interesting snorkeling. Be aware that in a few spots, far from the shore, there can be strong currents that require confident swimming skills. 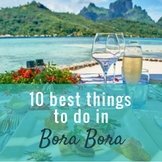 It's important to respect the power of the tropical sun while enjoying these Bora Bora excursions. 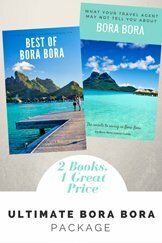 To find out how to have many extra hours enjoying Bora Bora water activities without burning, see what to take to Bora Bora.